Heel Height: 1.625". This item does not have a removable footbed. Designed to fit and follow the shape of your foot. The genuine moccasin construction wraps soft, supple leather completely around your foot. SAS Tri-Pad® comfort cushions give long-lasting support. All-Day Comfort SAS Last: Unique to SAS, this special last follows the natural shape of your foot providing all-day comfort and giving plenty of room for your toes. Genuine Moccasin Construction: The handlaced moccasin construction wraps soft, supple leather completely around your foot. The upper is soft lined to cushion your foot. SAS Tripad™ Construction: The green odor-resistant Tripad® insole cushion the three pressure points of your foot; the inside ball, outside ball and the heel. 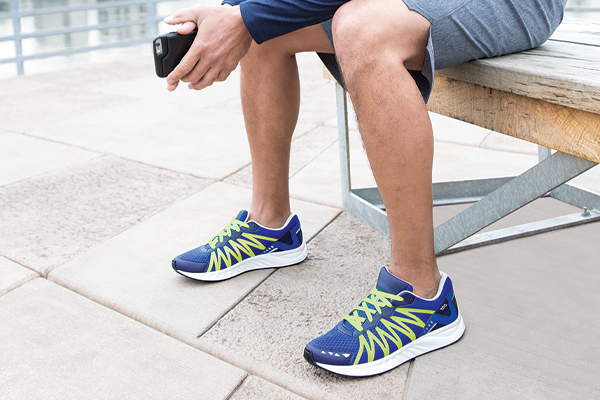 The materials we use never lose their shock-absorbing capacity ensuring you have comfort all day long. SAS Comfort Outsole™: The outsole is a flexible, durable nonmarking rubber compound designed to rpovide maximum grip and comfort to cushion your foot..